Whether you’re a man or a woman, you may find yourself in the role of single parent, for a limited time or permanently. Here are some resources on how to deal. It doesn’t matter if you are a single parent because of separation, bereavement, your partner having to work away for extended periods of time, or any other reason, you’ll still face the same practical challenges. You have to make the day-to-day decisions by yourself, things like picking up the kids from day care, school and sports activities, as well as the mundane (yet trying) decisions like what to have for dinner. An Internet search on “single parents” yields a surprising number of dating sites, several of which are rather cheesy. Two sites offering information, helpful articles and networking beyond dating are the Single Parents Network and Lone Parents. At Single Parents Network, members have shared web sites, articles, books, friendship and support since 1997. Some of the content reflects individual opinions, and some is rather moralizing. But if you can get past that you’ll find good, objective tips and articles, written by educators and other professionals, on various aspects of single parenting. In the UK, Lone Parents aims to put single parents in touch with each other, globally, nationally and regionally. This network has around 10,000 members and has been around for eight years. Communication is through a members’ only forum and chat room. There’s also a separate members’ only dating forum. One of the things I like about Lone Parents is that they offer links to a variety of other resources relevant to single parents, including Job Centre (a government-run nationwide job search site), a national child care web site, a counseling directory and much more. I’ve traveled as a single mother since 1988, when my oldest daughter took her first flight at 11 weeks. (Tip: The best way to calm a baby down during flight, especially for take-off and landing, is to breastfeed.) My youngest daughter was born in 2001 in China. Her first flight was on her first birthday, traveling to her new home in Norway. Back in 1988, before the Internet, the only resource I had was the first edition of Travel with Children, by Lonely Planet co-founder Maureen Wheeler. Though not specifically intended for solo parents, I’ve found much of her advice very useful. 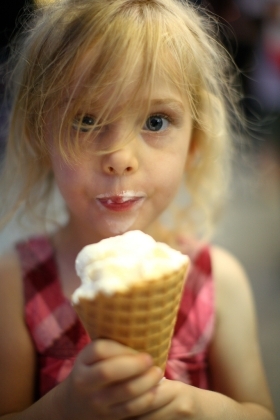 She discusses how children want familiar food, while parents are eager to sample local fare. Her idea: why not do both? First, let the kids have their meals, then go to a local restaurant afterwards. When my oldest daughter was 4, we travelled around South-East Asia for a while and I found this advice to be brilliant. It meant I didn’t have to eat a single hamburger. Also, when she was no longer hungry, my daughter was curious about my food. At the end of our trip, she no longer wanted hamburgers either. Today, there’s so much information available on traveling with children, choosing what to read can be a chore. Below is a list of good resources for traveling single parents. Single Parent Travel was created in 1983 by Brenda Elwell, a single mom. In 2001 she published The Single Parent Travel Handbook, and brought Single Parent Travel online. The site is currently run by single dad John Frenaye, travel communist for msnbc.com. Their trips section is rather heavy on cruises and resorts in the Caribbean. (Royal Caribbean, Carnival Cruises and Beaches Family Resorts are among their sponsors.) They also offer a horsebackriding vacation in November. If this interests you, have a look at (or subscribe to) their monthly newsletter. Responsibletravel.com was the world’s first dedicated travel agent for responsible travel. They select only travel companies with low environmental impact, and offer 8 trips specifically designed for single parents in destinations such as Croatia, Finland, Turkey and Egypt. Mango is run by two single parents. They organize single parents’ vacations in the UK and abroad, including skiing holidays and Serengeti safaris. Their trips focus on parents and children spending quality time together, so they don’t offer kids-only activities. Small Families claim being single with kids is no barrier to a good holiday. From weekends in Cambridge to weeks in the Galapagos, their trips have been featured in various UK newspapers. For 10 GBP per year you can join the Single Parent Travel Club, which aims to link together anyone traveling alone with children (not just single parents). The club is run by members for members and has been around for almost 20 years. SPTC organizes all sorts of trips, from meeting up in the park to traveling around Australia. The Australian travel magazine Holidays With Kids contains information and reviews on various types of single parent travel, including camping, lodges and working on conservation projects. The magazine also organizes an annual single parent getaway. You can sign up for their single parent newsletter. Depending on their age, let the kids participate in decision-making. Respect their input on where to go, what to see, and where to eat, even if it might mean more swimming pools and junk food than you care for. In many ways, traveling with a child is not that different from traveling with another adult – whether that means traveling to Thailand, or through life together. Your desires are of equal importance. If you want to hang out together, you have to compromise and it has to feel fair for both. Experience has taught me that being a single parent is as easy, or as difficult, as I choose to make it. Are you a single parent that travels with your kids? Do you have any other advice or resources you can share with our readers. Let us know in the comments below.